Fans of the macabre are sure to relish Phil Temples’ darkly exquisite Helltown Chronicles, where investigative mystery and weird wonderment merge. There’s something for every horror fan here, in a decades-hopping stretch that includes a mad mortician, an eerie inn, mutant terrors and occult occurrences that would make Lovecraft cringe. Temples’ crisp, no-nonsense style grips one by the throat and keeps one yearning for more, with characters both disturbing and identifiable. Helltown is the sort of unconventional place that demands exploration. 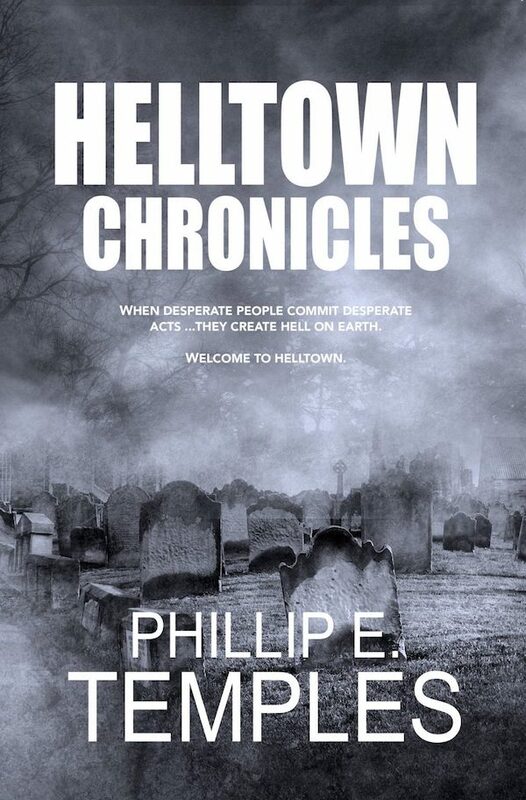 Phillip Temples’ Helltown Chronicles offers a page-turning tale of horror and the occult. The author combines what has come to be called “fakelore” from the real-life ghost town of Boston Mills, Ohio, with his unique brand of storytelling. The plot is centered among two young protagonists, Jerry and Susan, who are aided in their adventures by Astarte—a new age witchcraft practicing bookstore proprietor—and Frank—an ex-cop-turned-detective. Together, the four must confront a malevolant force before it destroys them. This is another fine piece of entertainment from the vivid imagination of an ace raconteur.